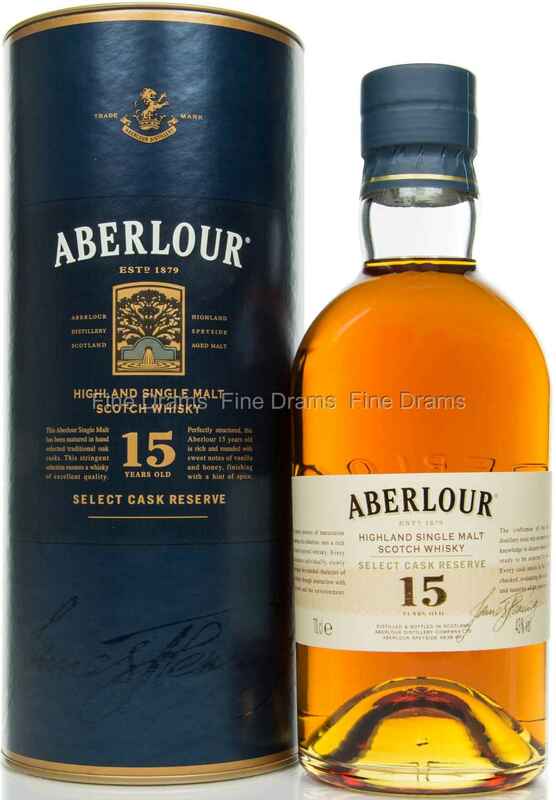 Originally designed for the French whisky market (one of the largest in the world), this is an excellent 15 year old from Aberlour. This is a single malt whisky that has been matured in a mixture of sherry and bourbon casks, and bottled at a warming 43% ABV. Drinkers should expect lots of lovely sherried fruit and vanilla with a bright orange peel note. All in all, this is a wonderful Aberlour that demonstrates exactly the distillery’s house style. One that Aberlour fans will not want to miss.